We are so thankful for each one of you, our faithful supporters! Without you, Obria Medical Clinics Pacific Northwest, formerly My Choices, would not be able to provide the assistance we do within our communities! You can partner with Obria PNW in a variety of ways the enable us to continue providing services to women and families throughout the Olympic Peninsula. 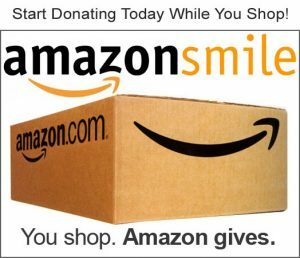 The AmazonSmile Foundation will donate 0.5% of the purchase price from eligible AmazonSmile purchases to My Choices! To support us in this way, simply log on to AmazonSmile and register to support Obria PNW. We are listed as “My Choices; Formerly – Crisis Pregnancy Center of Clallam County”. Visit the AmazonSmile website for more information on this program. Donating a few hours of your time each week or month is a great way to partner with Obria PNW Fill out the form below or contact us for more information about volunteer opportunities. Have a question, comment, or idea? Please fill out the form below and someone from our office will get back to you as soon as possible.